Presentation of the "Our Priests" CD and DVD to His Excellency, Bishop Mario Grech, with Archpriest Carmelo Refalo and Canon J. Sultana. Blessing of animals by Bishop Grech and Msgr. Refalo, featuring a recently-blessed, lovely golden pup with its owner, Nathania Camillieri. 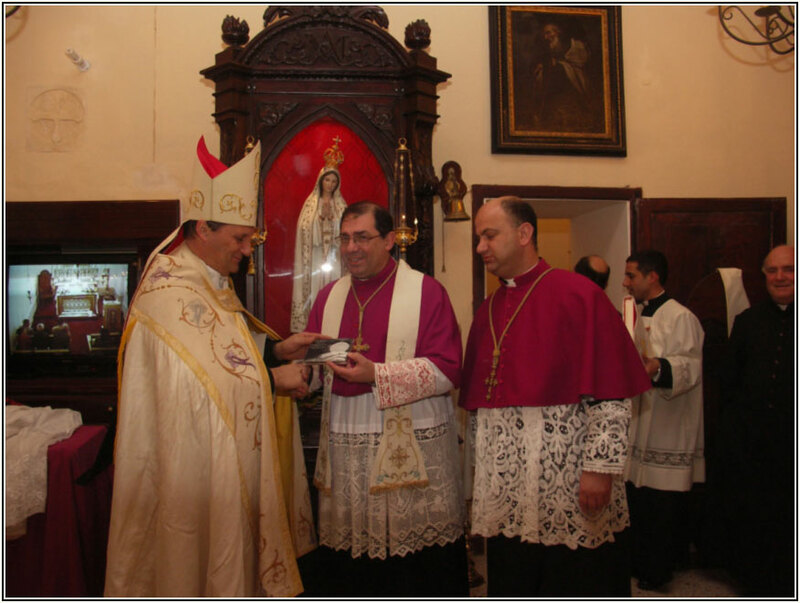 Blessing of one particularly feisty pet, a pink and noisy piglet, by Bishop Grech.